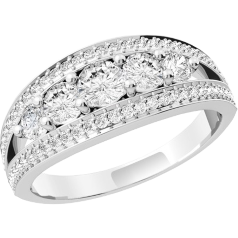 5 stone rings and multi stone rings are traditionally seen as anniversary rings, but nowadays are becoming also popular as engagement rings. 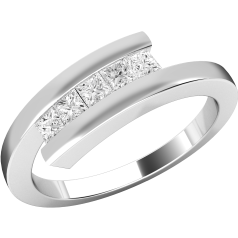 Some consider that a bigger carat weight can be worn more comfortably in day to day life when it is compiled by multiple stones, rather than one larger stone. 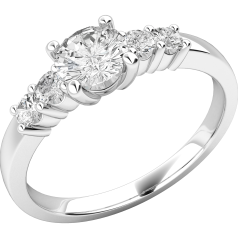 If you are not sure what would your partner prefer, a single stone or a multi stone ring, and you don’t want to ruin the surprise by asking her, it is best to turn to her friends or family for advice. You can also look at her existing jewellery collection to see what styles, metal colours and stone shapes she prefers. 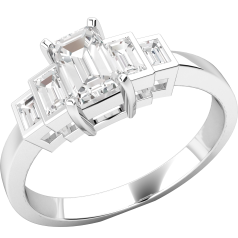 Our collection contains multi stone and 5 stone engagement rings set with round Brilliant, Princess cut, and Emerald & Baguette cut diamonds. 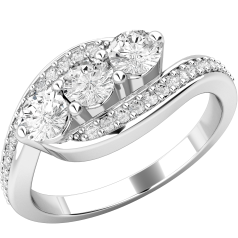 The five stone and multi stone rings in our collection are manufactured in 18ct white gold and platinum. 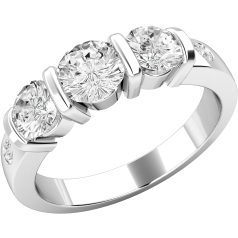 Multi stone rings can be chic and timeless, but through the combination of different shape stones can also be modern. Our exquisite multi stone and five stone diamond rings are perfect gifts of love, and will doubtless make your significant other’s heart beat faster. 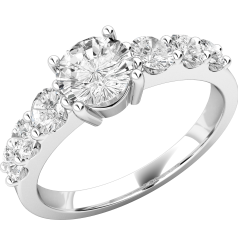 If you would like to learn more about the diamonds in our multi stone rings and the 4 Cs – Colour, Clarity, Cut, Carat-, the factors which influence the value of a diamond, read our entry on the four Cs in the Help menu.